The condition of your scalp affects your hair greatly. If you dream of healthy and lustrous hair, you must first make sure the scalp is healthy too. In case you are suffering from any scalp condition like dryness, itching or dandruff, fret not! Try organic apple cider vinegar for scalp. It has the power to cleanse your hair, reduce hair-fall and bring back the hair shine you have been longing for. Also, it treats all kinds of scalp problems by destroying the bacteria or fungi that clog your hair follicles. In this article, let us know about its properties and how it works on different scalp problems. Is Apple Cider Vinegar Good for Your Hair and Scalp? Apple cider vinegar is an effective remedy for health, hair and beauty. Coming to scalp, it works amazingly in avoiding the scalp and hair problems to make your scalp healthy and shiny. Following are the main properties of Apple Cider Vinegar which work well on the scalp problems. Apple cider vinegar disinfect the outer scalp by killing the fungus that caused by dry scalp. It also reduces the inflammation caused by the dry and itchy scalp. It has antibacterial, antifungal, antiviral and anti-inflammatory properties that prevents all the bacterial, fungal and viral activities on your scalp. It has the property to balance the pH levels of the scalp to clear itchiness and dryness. This helps to grow your hair healthy without any dandruff and other scalp problems. It acts as a natural clarifier. Acetic acid in apple cider vinegar removes the buildup from styling products and shampoos, and helps to strengthen your hair by closing the cuticles on your hair shaft. All these process (removal of buildup and smoothing of hair cuticle) helps to promote the natural shine and at last leaves your hair lighter and softer. It helps to open up the clogged pores and acts as mild conditioner. The acidic content in it helps to reduce the itchiness, dryness and drastically brings down flaking on the scalp. It has a lot of essential nutrients (vitamins C, A, B1, B6, Potassium, iron) and alpha hydroxy acids that exfoliates the top layers of the skin and treats the scalp psoriasis problem. White vinegar helps to remove the dead cells from the scalp and prevents the bacterial and fungal infections on the scalp. Vinegar will cleanse your scalp and helps to heal any scratches that you’ve made with your fingernails. In our general lifestyle, scalp faces many problems like dryness, itchiness, flaking, dandruff, etc. Besides using shampoos and conditioners to your hair, try these apple cider vinegar methods (as per your scalp problem) that naturally makes your scalp healthy and problem free. Massage it gently so that it will saturate all over the hair. Leave it for about 3 – 5 minutes and then rinse it off with warm water followed by shampoo. This process is also used to treat dry scalp, itchy scalp, dry itchy scalp, hair and scalp problems. This process helps to make your scalp healthy, much less itchy, controls oil, silky and shiny. Wash your hair completely and repeat this process once a week. Let it be like that for 5 – 10 minutes and then rinse it off. This process is also useful to treat itchy scalp, dandruff, dry scalp. The use of artificial shampoos and styling products on your scalp and hair will dry out the skin and leaves it itchy. Vinegar with its anti-bacterial properties kills the bacteria that cause dry, flaky dandruff. Here are some effective method for you to try. Repeating it twice a week until you got complete relief from the dry scalp. Keep a jug of apple cider vinegar in the shower and measure 1/4 cup. Pour this mixture over your head after shampooing and rinsed your hair. Massage it into the scalp with your finger tips and then get out of the shower without rinsing the vinegar from your hair. This process helps to make your hair well moisturized that prevents dryness and dry scalp problems. Take 2 tablespoons of apple cider vinegar and add this to 2 cups of beer. Beer acts as natural conditioner and helps to clear the dryness and thereby dry scalp. Then rinse it off and repeat this process for best results that prevents dry scalp. Leave it on for 5 minutes and rinse it with warm water and then go for a final rinse with water. Vinegar is used as an effective method to treat the dry scalp and dandruff problem. Try these methods to get rid of it. Mix it well and pour it over your hair after you take shampoo and rinse. This process helps to prevent the dandruff and dry scalp and leaves your hair healthy and shiny. Then rinse your hair with tea tree oil containing shampoo twice to get rid of the vinegar smell and debris. Follow this method everyday for 3 – 4 days to prevent dandruff and dry scalp problems. Get more idea about dry scalp treatment by reading the post – Home Remedies for Dry Scalp Treatment. Apple cider vinegar has been used as a great weapon that fights against the scalp itchiness and moisturizes your scalp efficiently. Have a look on how to use apple cider vinegar to treat itchy scalp. Mix it well and apply this diluted apple cider vinegar solution directly on your scalp by using cotton ball or using spray bottle. Continue doing this process regularly for twice a week to get rid of the itchy scalp. Rinse it off with water make sure that the vinegar solution has completely washed away. In order to use apple cider vinegar effectively to stop the itching on your scalp then you have to follow these methods. Spray this solution all over your scalp and massage it to spread completely to your hair and scalp. Allow it to dry and style your hair as usual. Repeat it regularly to get rid of the itchy scalp. Do you know Best Home Remedies for Itchy Scalp? Apple cider vinegar contains acids and enzymes that kill the bottle bacillus, a bacteria that is responsible for many scalp and hair conditions like dandruff, itchy scalp, flaky scalp, hair loss, etc. Repeat the same process few times a week whenever possible to get rid of the itchy scalp and dandruff. Take 1/2 cup of apple cider vinegar and add few drops of tea tree oil. Tea tree oil is an excellent natural anti-dandruff agent. Wash your hair with water followed by the shampoo. Also get an idea about How to use Tea Tree Oil for Scalp Treatment. Apple cider vinegar balances the pH levels of the scalp and helps to relieve itchiness and dryness. Try this method that helps to clear the dry itchy scalp. Take 1/4 cup of apple cider vinegar, 3 – 4 drops of soy oil, 1 – 2 tablespoons of honey that microwave for few seconds to get liquefied, 5 – 6 drops of peppermint oil and 6 drops of tea tree oil. Place the lid and shake it well. Leave it like that for few minutes and then rinse it off with shampoo and style it as usual. Vinegar helps to have healthy hair and scalp. It helps to get rid of all excess skin and cleanses and it also moisturizes the scalp and hair to prevent dryness, itchiness and flaking. After trying this method you came to know that vinegar is too good for your hair and scalp (cleansing). Mix it well in a spray bottle and spray it all over your scalp that your scalp has to be covered completely. Let it soak for 5 -10 minutes and rinse it off with tea tree oil infused shampoo. Make sure to have towel handy as this cream is too messy. Repeating it regularly will definitely makes your hair and scalp feel amazing. Take sufficient amount of baking soda (as per your hair length) and mix it with water to make it like a fine solution. Massage the scalp for a minute or two so that your scalp will be cleaned. Then tilt your head back pour this vinegar solution by closing your eyes. Leave it for few minutes and then rinse it off with cool water. For best results, follow this process once or twice a week. Generally used shampoo will not remove the product buildup on the scalp that result from the use of stylish products, oils and products with silicones but the apple cider vinegar rinse helps to remove it very efficiently. Repeat this process whenever you overused the stylish products on your hair that prevents damage to your hair and makes it strong & healthy. Wash the shampoo out of the hair with cold water and apply apple cider vinegar mixture with the applicator. Massage it for 2 – 3 minutes with your fingers but focus more on scalp. Wash your hair with cold water and dry it and if you want, style your hair as usually. Scalp fungus is an uncomfortable situation that leaves your hair with unsightly dandruff and intolerable itching. Fungus naturally occurs in the scalp as it gets oilier that gives fungus more food to feed longer on it. Vinegar, which is capable of killing fungus and bacteria that causes scalp fungus and making it as topical treatment for the scalp fungus. Process has to be continued daily to get rid of the scalp fungus. Pour this on your scalp and hair and massage it in the hair at the base of neck working towards the right side of the scalp. Allow the solution to stay on the hair for 2 – 5 minutes and then rinse it off with lukewarm water. Scalp psoriasis is standard psoriasis that occurs when plaque develops on the scalp as thickened patches that appears to be red or inflamed and silver in color. Vinegar (any type of vinegar) has been used from centuries that kills the bacteria on food, relieve itching and irritation that prevents the psoriasis. Spray it on the scalp but concentrate more on the psoriasis affected area of the scalp. Or you can use a wash cloth that soaked in the diluted vinegar solution and apply it on the psoriasis affected part of the scalp to ease the itching and irritation. Keep the vinegar solution in refrigerator for additional cooling effect that heals the burning and itching sensation. But make sure that if you have cracked skin, open sores or bleeding sores on scalp then skip this vinegar remedy as it will irritate the skin and causes burning sensation. Apply any carrier oil that helps to retain the moisture in your scalp and prevents itching and irritating. Or apply apple cider vinegar straight on the psoriasis affected part of the scalp will also works well in curing it. Flaky scalp is the scalp that has dried dead skin accumulated on the scalp and causes dryness, itching and dandruff. It forms flakes on the scalp due to lack of oil production. Vinegar is a best solution for this flaky scalp as it cleanse your scalp and moisturizes it by balancing the pH level of the scalp. Apply this vinegar solution on the scalp but focus more on the flakes area. Repeat this process regularly as it helps to remove the dead skin cells from the scalp that block your hair follicles that cause flakes. Remember that the vinegar smell will disappear when your hair dries out. For additional benefits, you have to follow these tips. Add vinegar (any type) to your shampoo or conditioner and stir it well before applying. Apply this to lather and then rinse it off. It also helps to treat the scalp problems. Although the vinegar solution in any methods are quite diluted that won’t burn your scalp. If you have any burning and irritating sensation, then dilute it by adding less of vinegar and more of water or any other mixing agents. Don’t worry about the smell of vinegar (apple cider vinegar) after applying it. As this will dissipate naturally when your hair dries. Even though if you’re still bothered about the smell then reduce the amount of apple cider vinegar used. Repeat all the above mentioned methods regularly to prevent any scalp problems. You can also use apple cider vinegar or white vinegar in other ways like using it in salad dressing, drinking it by diluting it in water, etc. to get the benefited from it also in treating the scalp problems. Always, it’s best to use organic, raw, unfiltered, unpasteurized apple cider vinegar that contains mother in it. Using vinegar (either apple cider vinegar or white vinegar) will prevent the scalp problems. But it essential to follow some other tips like removal of all stylish products on hair as early as possible, regular washing of hair, oil treatments, healthy diet, reduce the stress levels, etc. will helps to make your dream come true to have healthy and shiny hair. All this is about Apple Cider Vinegar for all kinds of scalp problems. Have you tried any of these methods or do you have any other vinegar methods that treat scalp? Then share your experience with us. Does it have to be organic vinegar with the mother, or will store bought work as well? I just used regular white vinegar in a spray bottle, undiluted. I’ve had a patch of terribly itchy scalp for weeks now and this morning just decided to spray some vinegar on it after washing my hair with regular shampoo and conditioner. I’m amazed that already the itching is greatly reduced. I’m going to do this every day until the itch goes away. I have a bottle of organic apple cider vinegar but it’s expensive and thought I’d try the plain white instead. So far, so good! I use to have thick and healthy hair until I had my children. I started losing hair in chuncks which was shocking and quite traumatic noir knowing the reason. Doctors were saying that was due to hormones and my hair should be back to normal once my hormones settled. Its been 8 years since my hair started to fall and got thinner and thinner. Recently I went to specialist and they able to found out from a biopsy that I have chronic inflammation of frontal scalp onhorizintgal and vertical section. The doctor could not tell me there as on of inflammation from the biopsy report so she has given me oral anti inflammatory medicstiin for 4 months. I don’t know if I should take the medicatiin oir sphoiuld try the home remedies first and see any difference. 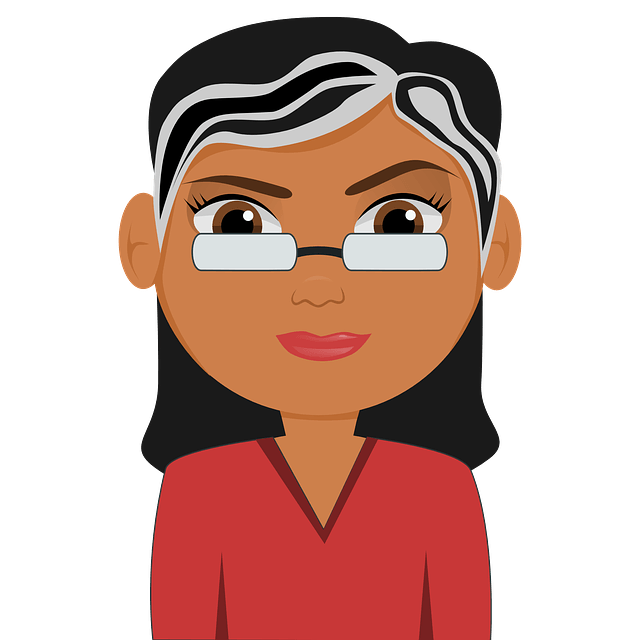 I was hoping that u might be able to help me with home remedies that might be suitable before I take the medication prescribed. For the past 2 year my scalp been dry with dandruff and very itchy and when I wash my hair my scalp is burning like its in fire or its like someone has put chillies on my scalp. I wash my hair 1 a week due to me very scared of a lot of hair fall during and after washing my hair. my hair are long and healthy but now I have lot ofpatches in hair , itching terribally and bleeding followed by burning and some water like fluid comming out. 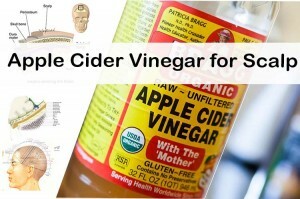 which isthe bwst way to apply apple cider vinegar? As per your description, your skin is bleeding and discharging fluid. So we recommend consulting a doctor to understand the exact problem. A visual inspection gives more precise root of the cause. Once you find the reason of the problem it will be easier to find the solution. Dilute apple cider vinegar with more amounts of water so that smell can be reduced. I don’t know what that is but I have itchy hair with small white balls in it. My hair gets greasy easily, but with my new professional shampoo I can go one day without washing. What can I do to reduce the itching and the sand feeling in my hair? As per your description above, we recommend you to consult a doctor to understand the exact problem behind the itchiness and small white balls. Once we get to know the problem, we can find out the perfect solution for it. Yes, vinegar is also helpful for treating itchy scalp. It is difficult to choose one over the other as everyone reacts differently to the same ingredient. Do I use conditioner on the ends if I use vinegar for itching. I have long hair and my scalp is so itchy and dry. I’m going to try the vinegar and I didn’t know if baking soda was bad for colored hair but I also wanted to know if I still use my conditioner on the ends? Baking soda is not good for coloured hair. You can try a different method mentioned in the article. After rinsing off the vinegar you can use conditioner on the hair ends. I just use some of the apple vinegar with water. And it burns.. is that normal? Slight burning sensation is common and indicates that it’s working. However, if it is causing unbearable burning sensation, then stop using it. I use straight apple cider vinegar…how often should I use it for dry, flakey scalp? Everyday, other day, three days a week?? Repeat the ACV process 3 times in a week. I have severe burns on my scalp from a hair dye. My scalp is sore and itchy with burst blisters . How can I relieve the pain and mend my scalp. We recommend consulting a dermatologist as soon as possible. A physical examination is required for providing a treatment. Yes, you can use. Try and share your experience. If you want to know any other remedies then you can read this article – http://homeremediesforlife.com/hair-growth/. My baby has a very itchy scalp. I just bought d dilute white vinegar. Pls how do I use it?? Do I still need to dilute it before spraying on baby’s hair?? Yes, you have to dilute the vinegar properly before spraying it on your baby’s hair. As her scalp will be more sensitive, we recommend starting with a very low dosage initially. Start with 2 tablespoons of white vinegar, dilute into 1 cups of water and spray it. However, we recommend to perform a patch test before starting the regular treatment. Yes, it can. Soak handful of methi seeds in water overnight. In the morning, grind them into a fine paste. Apply the mixture thoroughly on the scalp and leave it on for an hour. Wash off the application with lukewarm water and shampoo. Repeat the process once or twice in a week for best results. Apart from that drink plenty of water as dehydration is also one of the reasons for excess oil production in our skin. Usually, apple cider vinegar doesn’t cause any dime sized bumps. So, try it once again and see if you have a new breakouts. If you think ACV is causing them then stop using it further. Apply aloe vera gel to reduce the bumps and treat the itchy scalp.